We recently got back from a three week trip to Brazil for Christmas and New Year’s. When I say recently, it was actually a full month ago today. My tan lines are long gone, bathing suits are stowed for warmer days (especially the thong one I bought…just for Brazil! ), and I’m back in my winter hibernation mode, big sweaters and leggings all day every day. When I say Brazil I mostly mean Rio de Janeiro and a couple of neighboring spots because Brazil is like, huge. Anyway, one of the things I was most excited about, which is always the case when I travel, was the food. 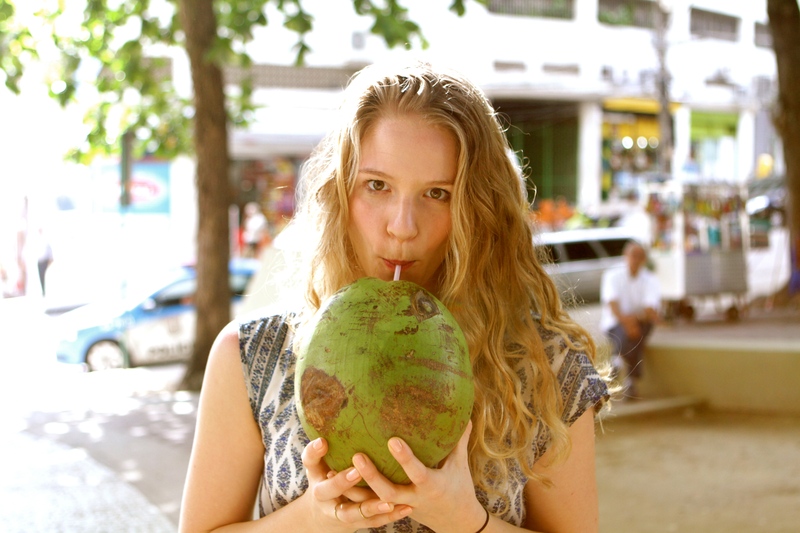 Sadly, my experience of Brazil was mostly a miss when it came to food, and especially nutrition. It was potatoes next to rice next to beans next to a piece of overcooked and under-seasoned meat. Carbs, carbs and more carbs. I almost peed myself when I found kale on a menu. Now, I’m not saying all Brazilian food is bad, and it certainly could have been a combination of our terrible Portuguese and picking the wrong restaurants, I just was really happy to get back to my own kitchen. Hence the inundation of blog posts. Did I mention that I accidentally ordered raw meat for dinner one night, and lacking the vocabulary to send it back, endured a 30 minute staring contest with a pile of bloody ground beef? Or the time I was forcibly dragged into a churrascaria and then inundated with a rotation of meat I didn’t really want, followed by more meat really I didn’t want. Brazil is no place for a recovering vegan, or a health-conscious person of any nature, and by the end of the trip it had me swearing up and down that I’d never eat meat again once I touched American soil. I quickly gave that up in the comfort of my own kitchen, but I certainly won’t be running around Houston to track down any Brazilian restaurants anytime soon. The trip in all was amazing, and there were definitely some food highlights. Among them, tapioca flour fried into the most amazing chips, fresh papaya, passion fruit caipirinhas, fresh coconuts and acai bowls on every street corner. And then there was this dish called Moqueca, which quickly became my go-to at any restaurant that served good fish. I was not about to risk another raw meat ordeal. It was served bubbling hot in these giant bowls that no one human could finish on their own, it was even a stretch for two people. Moqueca is a coconut milk based stew, with white fish, tomatoes, onions and an array of other vegetable players. I also had it once or twice with, get this…banana. They put it in EVERYTHING. I tried banana on pizza once, which actually was kind of great. This recipe represents a loose translation of the dish. Like I said, my Portuguese is horrible and I could have totally missed an ingredient or two…so if you’re Brazilian please don’t be offended. Also if you’re Brazilian, please tell me how your country is not full of overweight diabetic people considering that your diet is carbs on carbs on carbs. Oh yeah, the recipe. It is best to marinate your fish a few hours ahead, so plan accordingly. If you don’t plan accordingly, all is not lost, I promise. Just marinate while you chop up the other ingredients. Choose a firm, white fish like halibut, sea bass or snapper. I used redfish and it worked quite nicely. This dish goes well with, dare I say it, rice. Please use brown rice or even quinoa, for my sake. 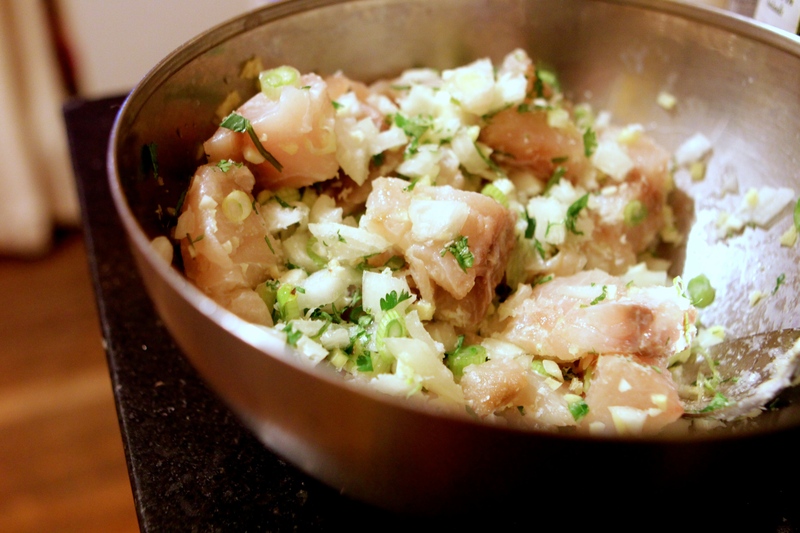 First, marinate the fish in the lime juice, half the yellow onion, half the green onion, half the ginger, half the garlic, half the cilantro, a tablespoon of coconut oil and a pinch each of salt and pepper. Set aside for 3-4 hours. Heat a stock pot or dutch oven over medium and add the other tablespoon of coconut oil. Add the onions and sauté until translucent. Add the bell pepper, ginger, garlic and green onions until softened, then add the bay leaf and remaining cilantro. Pour in the stock and bring to a boil. Once boiling, add the tomato paste, coconut milk and fish sauce and return to a boil. Next add the diced tomatoes, hearts of palm and the marinating fish, as well as all of the marinade. Lower the heat and cook, covered, 8-10 minutes or until fish is cooked through. Remove the bay leaf and season to taste with cayenne, salt and pepper. Serve with cilantro, green onions and a lime wedge.